There’s no denying that weddings can be very expensive – and some of the biggest costs typically include the food. It can cost quite a lot per head to feed a wedding party, which is why it’s such a shame to think about just how much is thrown away when the festivities come to an end. If you want to reduce the amount of waste created by your wedding, think well ahead of the big day about what you could do with the leftovers instead of chucking them in the bin. Donating it is certainly the most obvious solution to the waste – but you should bear in mind that a lot food banks and redistribution groups won’t accept food that isn’t new, pre-packaged or canned. Those of you using a professional venue or caterer could get in touch and ask what they usually do with the leftovers. It might be that they already have a partnership with a charity, in which case all the hard work is already done for you! Animal shelters might be a good choice if you’re worried that homelessness charities might not want to take what’s gone uneaten. Preparation is key so just get in touch with your chosen group and see if they’d be happy to take it once the day is over. While planning your wedding breakfast, it might be worth trying to devise a menu that isn’t especially perishable. That way, once the party has drawn to a close, you can package everything up and hand it out to guests to take away with them – or just take as much of it home as you can and stick it in the fridge. 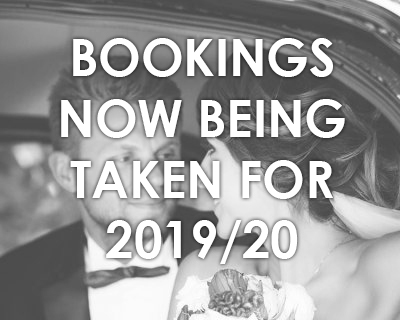 Do you need wedding cars in Manchester? Get in touch with us today.